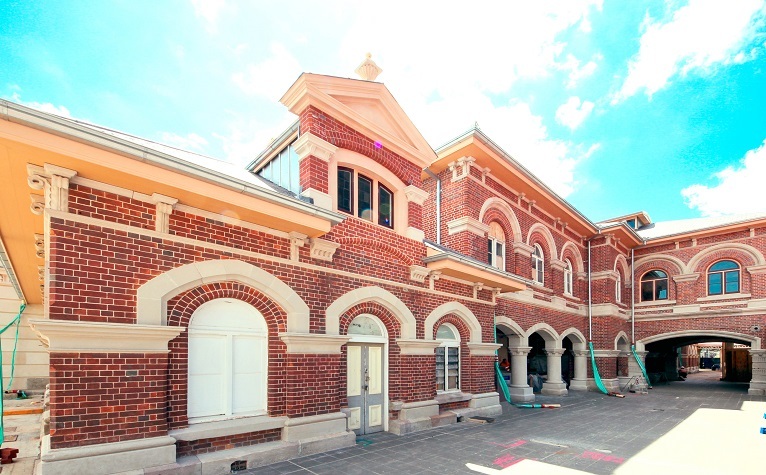 Challenge: Heritage listed buildings are often structurally complex & highly variable due to their age. This adds difficulty to restoration works especially when you are unable to access areas safely to take measurements. 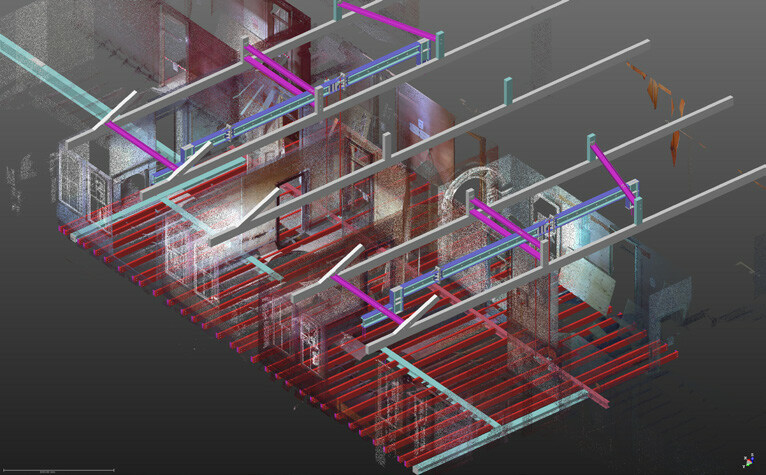 Using our 3D Laser Scanning and Modelling Software we are able to scan the full external structure to create a 3D point cloud model of the environment. 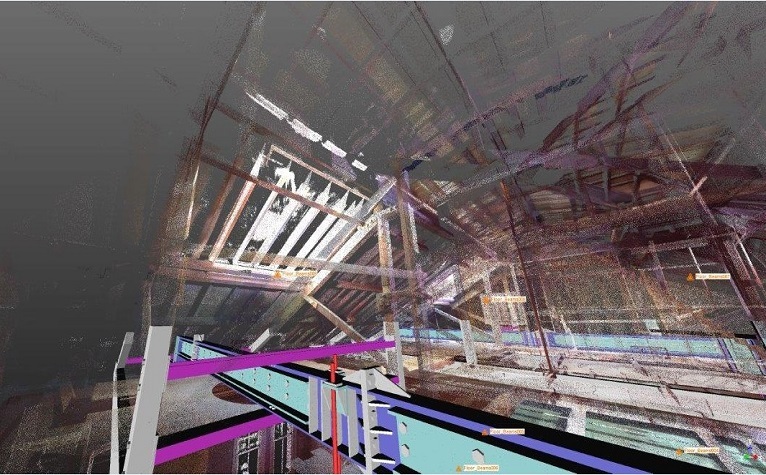 Using this scan we were able to measure the ceiling without the need of an access lift and also identify what beams needed replacing and where. 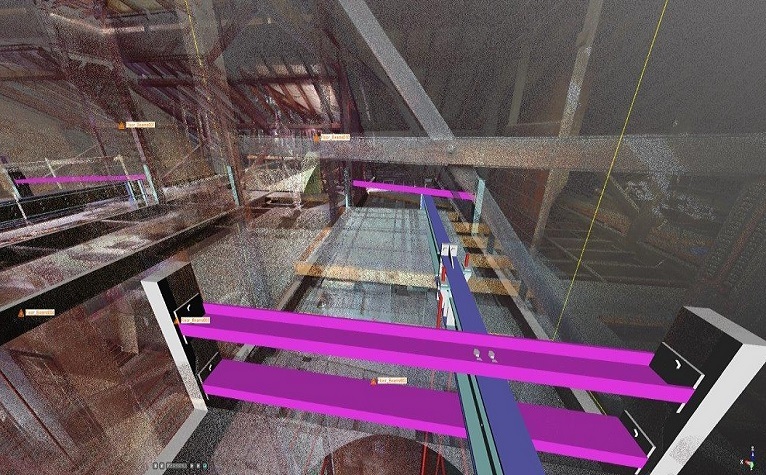 Once the shop drawings were done, the completed 3D model was imported into the point cloud to check for any clashes, and to verify the exact size of the beams required for the floor and ceiling spaces. This resulted in a seamless fabrication and installation process of the steel beams, with no reworks required – saving time and money.